The duration of Paper 1 is 170 minutes or 3 hours 50 minutes.There are three sections in this paper, Verbal and Logical Ability, Decision Making, Quantitative Ability and Data Interpretation. This paper is a combination of objective and subjective type questions. The sections of Paper 2 are General Knowledge/Awareness and Essay Writing. There are 25 questions in the GK section. Candidates are given only one topic for essay writing. The duration of this paper is 35 minutes. Each question carries 1 mark and for each wrong answer, there is negative marking of 0.25 marks for each wrong answer. There is negative marking of 0.05 marks involved for unattempted questions as well, beyond 13. 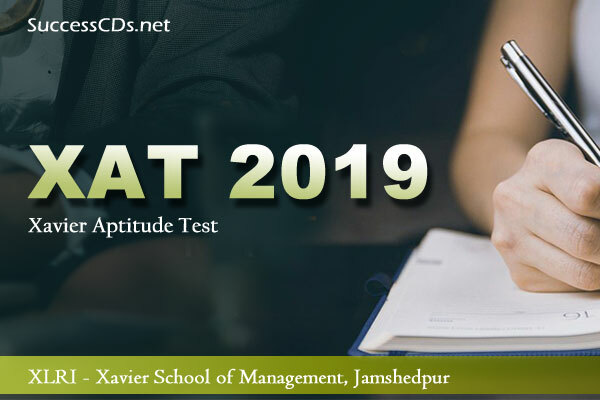 XLRI Jamshedpur will also send the hard copy of XAT 2019 score card to the address of candidates. The scorecard has to be preserved till the admission process gets over. XAT Registration Fee (without late Fee) - Rs.1700/- Candidates interested in XLRI programs needs to pay an additional fee of Rs.300/- each.